We all know how important it is to get your beauty sleep…but who knew you could actually fight wrinkles while catching some Zzzs? The bestselling Beauty Bear Age Delay Pillow is an innovative anti-ageing pillow that has a unique U-shape design to cradle the face and neck, improving the quality of your rest and helping to minimise fine lines and creases. According to clinical skin care expert Nurse Jamie, a poor sleep routine is the number three cause of premature ageing – and the position you lie in can etch fine lines and furrows into your face at night. To help fight wrinkles and restore the youthful complexion you’ve been dreaming of, this innovative pillow has a unique U-shape design that cradles the face and neck and conforms to your contours, improving the quality of your rest and helping to prevent the skin from creasing as you slumber. Ideal for travel, you can grant your skin a healthier, more rested appearance overnight, simply by getting a decent night’s sleep! The pillow’s ultra-silky, satin finish supports even the most delicate of skin types and is available in four colour options to suit every taste – purple, white, midnight grey and leopard. There is nothing really wrong with this product, but I can't tell you that it actually works. 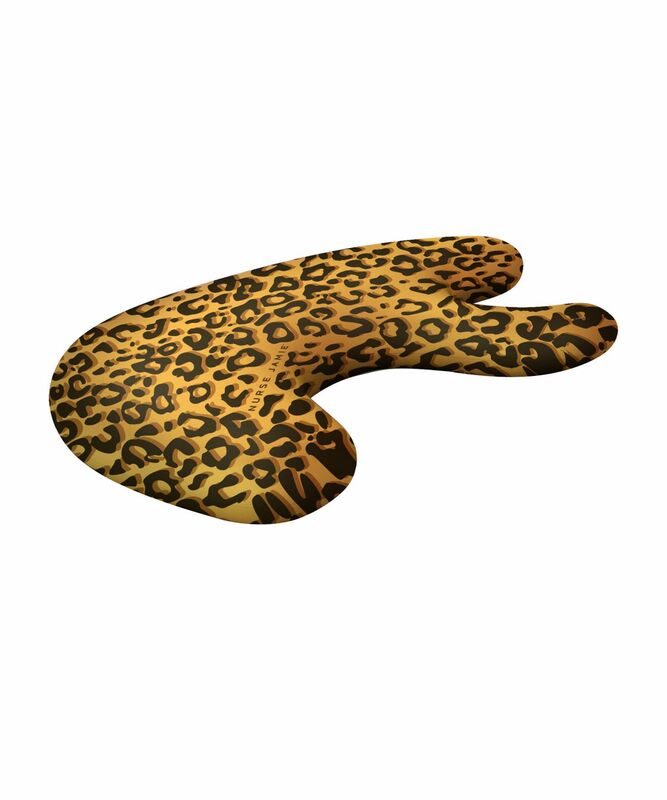 To be honest, I could have probably bought an airline pillow at a fraction of the cost which does the same thing. I was expecting big things with this pillow. Used this for a week and forced myself to like it, but it was just not all that. As a side sleeper it took some effort to get comfy and in the end it actually gave me backache. So disappointed. I've given up using this and invested in a good latex foam pillow which is so bouncy and soft it feels forgiving on the face. Really not worth the price, the side sleeper part you seem to just slid right off and the to my dismay the pillowcase is not even real silk. its 100% poly. I was expecting a lot more for this price, didn't even get cute packaging. I have been sleeping on the beauty bear exclusively since I bought it at least a year ago and it has solved my neck ache problem. I love a cushy feather pillow but as comfortable as they feel, my head/neck was never in the right position to not give me an ache in the morning. I'm a side sleeper and find the beauty bear perfect amount to support my neck and head. I also love the shape and it helps me not smoosh my face in the pillow! The pillowcase is terrible though so taking off a star - I have two of them and the zip on the first broke after about a month, and the second one is only a month old and already separating/fraying at one seam. Plus they are pure polyester!!! I had some silk ones made instead. I can't really understand why some reviews are negative, but I imagine there's no fit-for-all in life. In my case, this pillow has really been life/sleep-saving. I am a side sleeper and usually I also sleep with my face immersed on my pillow. The shape of this pillow has helped me to no longer have sleeping marks imprinted on my face. I honestly find it very comfortable. Something to note, though: I use it over another (thin, normal) pillow. So with the thin pillow below, the combination works wonders for me. I never really write reviews, but in this case I felt compelled to because this has been a really good buy for me. Hope this helps. This is a cheaper and somewhat more user friendly version of the 'save my face' pillow and it's honestly worth the A lister seal of approval. I'm normally a gal that loves a lot of pillow but this one somehow makes it feel like you have all the support you need for your neck and head without being too much. I love it!